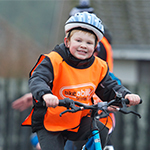 A cycling advocate who worked with an Inverness medical practice to increase cycling opportunities for both patients and practitioners has been named the 2018 Cycling Champion by Scotland’s four national cycling organisations. Michael (Mick) Heath has been working with the Cairn Medical Practice to combat what was previously poor cycling provision in the area. He helped to implement improved facilities at the practice’s ten locations but also sought ways for frail and elderly patients to experience wellbeing rides and encourage other patients to become more active through the help of trained ride leaders. The Cycling Champion of the Year Award recognises an individual whose contribution has made a significant impact on cycling at a local, regional or national level and was announced at the Cycling Scotland annual conference on Monday night (5 November). 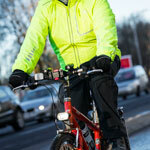 The accolade is awarded jointly by Cycling Scotland, Cycling UK, Scottish Cycling, and Sustrans Scotland. 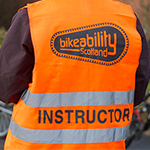 Suzanne Forup, Head of Development Scotland for Cycling UK said: “Mick is passionate about the benefits of cycling and dedicated to helping more people experience those benefits. His boundless enthusiasm has helped to forge remarkable partnerships, and ultimately to touch many people’s lives through the joys of cycling. The award was presented by Ian Borthwick, the Lord Provost of Dundee at Cycling Scotland’s Civic Reception in the Caird Hall, Dundee.